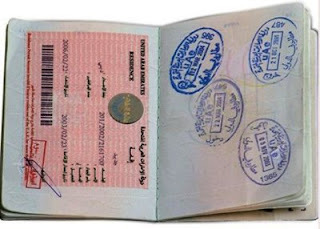 A new five-year visa that will allow students to stay in the country to look for work after they graduate will re-energise the UAE's job market, university deans and students said. Expat and international students will no longer be expected to leave soon after they receive their degree. Until now they have also been made to renew their visa every year of their degree. Major changes to the way expats are employed, their legal residency status and the ability for foreign companies to be owned without a local partner were outlined on Sunday night. “This is a long time coming and people have been interested in this for years. Many students are here as they want to work here," said Dr Warren Fox, head of higher education at Dubai's education regulator, the Knowledge and Human Development Authority. “Formerly, a young man who graduated would be unable to stay in the country unless he had a job or went for higher studies. Now, the expatriates who are born and raised here would not need to stay here on their family’s visa or to look for a job." The move will create new opportunities and develop human capital," he said. "All of these are a step forward in the right direction. We are already a very popular international higher-education hub and visas are always an issue for students. This flexibility will strengthen our position." Dr Fox anticipates "higher interest in applications" to the UAE's universities. "There will be high interest in staying in Dubai after they graduate. These talented students who are new graduates and ready to go, can add to the economy,” believes Dr Fox. The KHDA said that although the full details have not been disclosed, students can expect that if they enrol for a three-year course, they would still have a five-year visa. Dr Björn Kjerfve, Chancellor of American University of Sharjah, one of the country's best-known universities abroad, said the prospect of a five-year visa would not only attract international investors and qualified professionals but also help shape a better future for expatriate students in UAE. "We join the students and their parents in highly appreciating the decision to extend visa renewal for students for five years," he said. A student at the American University of Sharjah, Alejandra O’Connor, said getting a five-year visa will make things much easier. “I will be able to have time to stay and find a job in the UAE,” said the 21-year-old public relations student from Bolivia.